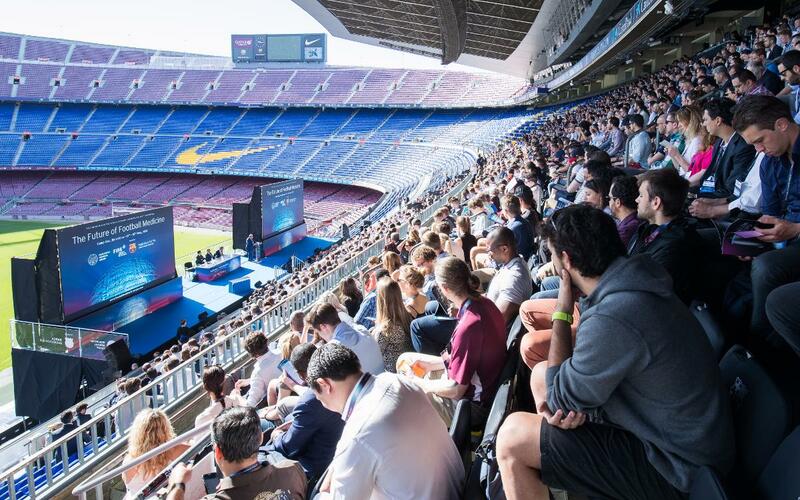 The Camp Nou will bring together the best experts in the field of football medicine and science once again next year following the success of the XXVI International Conference on Sports Rehabilitation and Traumatology, which has taken place over the last weekend on the club premises. The principal organisers of this world-renowned congress, Isokinetic Medical Group, have decided to return to the Camp Nou next year ahead of other potential venues like London and Milan. Barcelona and the exquisite location in the Grandstand of the Camp Nou fulfilled expectations by providing a unique environment for one of the most important conferences in the world. Over the last few days, 2,500 delegates from 91 countries were able to enjoy close to 200 conferences on the main theme of the future of medicine in football. The best specialists exchanged knowledge and debated such a wide variety of topics as traumatology, rehabilitation, prevention, regenerative medicine and the latest innovations in biomechanics and neuroscience. The club premises were used to host the congress in four different areas and the outside space around the stadium was turned into a village with fun zones, catering and marquees where sponsors gave presentations and 60 collaborating medical companies organised workshops. The congress also helped to promote the Barça Innovation Hub (BiHub), the club’s strategic project to promote the kind of knowledge exchange that was witnessed this weekend. BiHub is seeking to become the most important centre of knowledge, research and innovation in the sports industry. As part of the congress, the MuscleTech Network was also organised for the ninth time. FC Barcelona and the Fundació Leitat jointly organise it to exchange and debate the latest innovations in the field of muscle and tendon injuries, the most common types of injury in football. The next workshop will be the tenth and will take place in October 2018, this time separately from the medical congress, which will be returning to the Camp Nou at the end of May next year.